Like any developing technology, doing business in the cloud has risks. However, these risks, while not negligible, are taken seriously by cloud service providers. 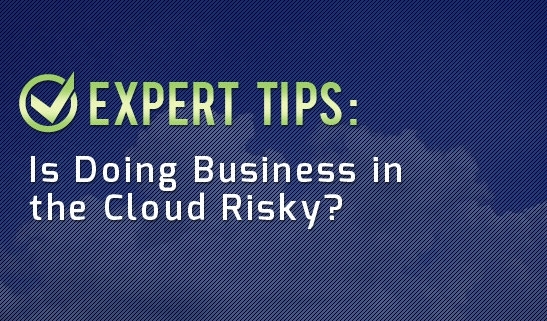 What are some of the risks of doing business in the cloud? One factor to consider is the security of an organization’s data in the cloud. How safe is it and what safeguards are cloud based companies taking to ensure the security of the data of their customers? Well, over the course of the past few years, cloud based companies have taken a variety of steps to ensure their clients data is protected. These concrete steps are reflected in the confidence that users show in cloud based companies. In fact, studies have show that 75% of companies who store their data in the cloud are not concerned about the security of their data. They exhibit confidence that it is secure, showing a great vote of confidence for cloud based services. Storing your precious data with a third party can be nerve wracking. For many companies, their data is the lifeblood of their business. They need to ensure that if they transfer their data to the cloud, that not only is it safe and secure, but also that there will be no risk in losing data when migrating to the cloud. These are valid concerns, but there is little basis for them because migrating data to the cloud is a painless and seamless process. In addition, once it is transferred to the cloud, it will be easily accessible. It is just a matter of working with your cloud vendor. There is little risk involved in transferring data to the cloud. Perhaps, the solution is simply a matter of education and awareness. There are many companies doing business in the cloud today and the number is increasing every day. Many companies and end users do not even realize that they might be doing business in the cloud without even knowing it. They could be reading a book in the cloud, doing their taxes in the cloud, managing their finances in the cloud or attending a teleconference in the cloud. Once they realize how easy it can be to do business in the cloud, making the decision to have their data stored in the cloud should not be an issue. In addition, companies that still have doubts about making the switch to the cloud and migrating their data to a cloud vendor, simply need to do research about it. The research will reveal that switching to the cloud has minimal risks. It is not risk free, but cloud vendors have taken many steps to ensure the security of their client’s data and also ensure that in the event that data might be lost or compromised, that it can easily retrieved. Safeguards are already in place and as the industry continues to grow and develop are getting stronger and more secure all the time. https://datadepositbox.com/wp-content/uploads/2015/05/005-is-doing-business-in-the-cloud-too-risky.jpg 335 547 datdepbox https://datadepositbox.com/wp-content/uploads/2018/08/datadepositbox-logo.png datdepbox2015-05-14 12:00:042015-05-14 12:00:04Is Doing Business in the Cloud Risky? The two main advantages of cloud backup services are the mobility and security that they provide to end users. Cloud backup services try to ensure that its customers can not only be mobile, but also secure at the same time. In fact, not only do cloud backup services allow their customers to access data wherever they roam, but they also have established security guidelines regarding the mobile connectivity services they offer. Mobility is one of the main advantages of cloud computing as data can be accessed anywhere anytime as long as there is access to the Internet via a handheld device, PC, tablet or smart phone. The data is stored in the cloud waiting to be accessed, but mobility could come at a price if the end users’ security is compromised when they attempt to access their data. Exploitable mobile application vulnerabilities are not uncommon in the industry and there are many ways that data can be compromised or intercepted. So, this implies that there are risks associated with storing and accessing data in the cloud. However, this is something that cloud backup services who offer mobile connectivity services as part of their service package are cognizant of and they make every attempt to ensure that their customers are protected. Focusing on application security needs, they want to ensure that their customers have mobility without any of the risks and vulnerabilities that might arise and are vigilant in trying to prevent any possible breaches. There are a variety of ways that cloud backup services try to ensure the protection of their clients. For example, authentication is one way that cloud backup services ensure that a company’s mobile workforce is protected. Administrators identify the mobile user and attempt to detect any potential security threats by abstracting them from the mobile device and isolating them on the cloud server where they are more easily detected. This means that there is a safeguard in place when a mobile user attempts to access the cloud backup services to ensure that any threats from their mobile devices are isolated and dealt with. Knowing how seriously these companies take security should give anyone accessing cloud backup services using a mobile device a huge peace of mind. Another security conscious feature of cloud backup services are the secure plug-ins. These secure plug-ins have been specifically developed for different mobile operating systems and are tailor made to meet a mobile customer’s needs — whatever they may be. Cloud backup services take security seriously in order to allow mobile users to have peace of mind when they access the cloud from one of their mobile devices. 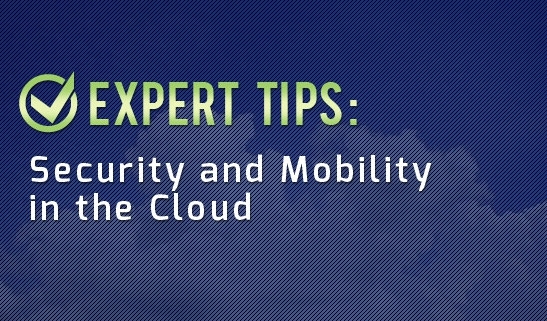 Therefore, rest assured, that if you are mobile user, you are protected in the cloud. How Safe are Cloud Based Services? There are many benefits to cloud based computing. Cloud based services offer companies an efficient and cost effective way to store an unlimited amount of data and allow for the mobility of their employees as well as a variety of other tangible benefits. 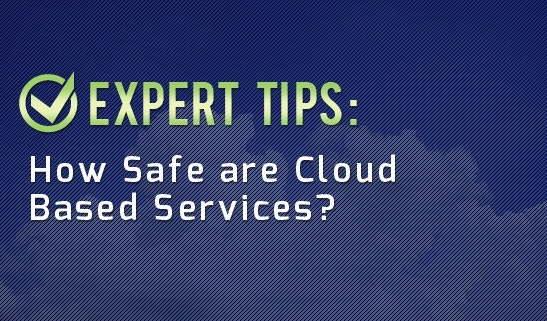 However, an important question to ask is how secure are cloud based services? Cloud based companies do their best to ensure that their clients are safe from cyber threats and cyber attacks. For instance, online businesses are being secured with state of the art Internet protocols, that are becoming one of the fastest growing markets in the Cloud. Growing Internet based security tools are solutions that filter malware and adware and all kinds of viruses that may infect a website; filtering URL, adhering to policy compliance, and preventing data loss. However, Cyber criminals constantly prowl cyberspace looking for their next victims. In fact, studies indicate that thousands of legitimate websites are infected with virus on a daily basis. Businesses can encounter thousands of malware threats on a monthly and yearly basis. This is an ever present and growing concern. Cloud based companies, however, are cognizant of these threats and are proactive in combating them. These technologically based threats have technologically based solutions, and cloud vendors are proactive in trying to address and prevent these threats to protect their customers from cyber criminals. Some of the methods that cloud vendors use to protect their customers include gateway solutions which filter malware and adware and other viruses. In addition, cloud vendors try to detect threats in real time. One of the most salient benefits of the cloud is that it allows companies a great deal of mobility. Their employees can conduct business around the globe and access their data in the cloud from wherever they are and from whatever device they may be traveling with; be it a smart phone, tablet or laptop. The cloud allows this instant access to company files and data that they need while they are on the road. However, this increasing mobility of employees provides additional challenges. The Internet may be accessed from a variety of devices which could be unknowingly infected with a virus. These devices connect to accounts in the cloud. Cloud based vendors try to ensure that safeguards are in place to prevent these viruses from spreading. It is in the best interest of cloud vendors to continue to be proactive in combating malware, adware, and other viruses. Cloud vendors are doing their best to protect their clients from these cyber threats. https://datadepositbox.com/wp-content/uploads/2015/05/003-how-safe-are-cloud-based-services.jpg 335 547 datdepbox https://datadepositbox.com/wp-content/uploads/2018/08/datadepositbox-logo.png datdepbox2015-05-07 12:00:572015-05-07 12:00:57How Safe are Cloud Based Services? What Makes the Cloud so Cost Effective? 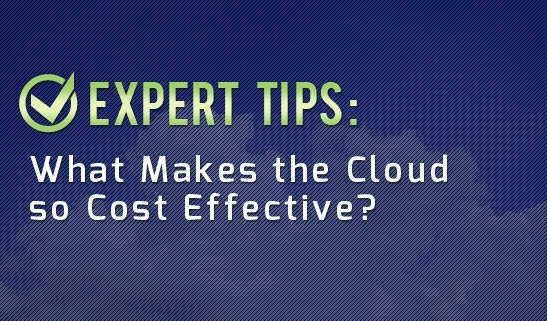 Those who tout the benefits of cloud technology always refer to the cost effectiveness of it. But, is that really true? Is cloud technology cost effective? Will switching to the cloud save companies money? If so, what are the factors that make the cloud cost effective? Cloud based services offer companies a variety of advantages including flexibility, adaptability, velocity and scalability. They allow companies to efficiently tailor their storage of data depending on their needs. Having unlimited storage capacity for their data in a format that is safe, secure, flexible and adaptable is a huge benefit for many companies. Some companies switch to the cloud because of benefits alone. However, aside from all of these benefits, for some companies, a determining factor of whether to switch to the cloud is the associated costs. They undertake a cost/benefit analysis to determine if the cloud is worth it for them. It comes down to dollars and cents. For a company to decide whether it is cost effective to switch to the cloud, it must first assess its needs and ask itself some of the following questions. Is it a growing company that will need additional storage for its data over time? Is it reaching maximum capacity already or does it have no need for additional data storage space? Are its employees conducting business on the road requiring instantaneous access to data in one place? Is the company opening new branches requiring efficient and easy access to data to help these new enterprises get off the ground? Is the business a new company that is just starting out and does it need its data in one place? There are a few factors that companies need to take into consideration of whether to incur the additional expenses of a cloud based service. One of the major benefits of the cloud from a cost/analysis viewpoint is based on the fact that it takes little or no capital expenditure to start accessing what the cloud has to offer. The infrastructure is already in place. Companies do not have to worry about making a prohibitive major investment when signing up with a cloud based service. Companies can tailor the cloud to their budget by using a pay as you go model. There are actually two variations of the pay as you go model that companies can choose from: “Capacity based model” and “Recovery based model”. These pay as you go models allow companies to keep track of their expenditures and not let them get out of hand. There are no hidden costs. Companies can have control over what they spend. If you are considering switching to the cloud and are worried about the cost, then take a good look at how inexpensive it is to get started with the cloud. You will be happily surprised at how cost effective cloud computing can be. https://datadepositbox.com/wp-content/uploads/2015/05/002-what-makes-cloud-so-effective.jpg 335 547 datdepbox https://datadepositbox.com/wp-content/uploads/2018/08/datadepositbox-logo.png datdepbox2015-05-05 12:00:152015-05-05 12:00:15What Makes the Cloud so Cost Effective?